Ontario is offering rebates for those who are looking to renovate, and not only to home-owners but renters too (with permission from their landlord of course)! These rebates can save you a lot of money, so it is an excellent option to look into them before you start hammering away. This new rebate was introduced by the Province of Ontario in December of 2017 and is still brand new, so many have not had the opportunity to claim it. It is called The Green Ontario Fund, and its goal is to try to make Ontario a greener province. Part of the reason why this rebate is being offered is to try to meet the parameters of the Ontario Climate Change Action Plan. With the goal of cutting greenhouse gas emissions down to 15% by 2020 and a whopping 80% by 2050, every little bit helps. Having more energy efficient homes can go a long way towards this goal. With the wild fluctuations in temperature that we have in Ontario, having a home that is not adequately insulated against both the freezing temperatures of winter and the stifling heat of summer means that energy is being wasted trying to cool and heat your home. Doing basic renovations to your windows, insulation, and thermostat will significantly change your energy use! It is worth noting that all work must be done by a contractor that has qualified under GreenON.ca. These contractors are able to register your rebate through the program, which will help save you money. To better understand how you can limit your carbon footprint you can also contact GreenON Support. They will answer your questions regarding energy efficiency and greenhouse gas reduction in relation to your home. This includes how you can save the most money when renovating your home through the program, how heat pumps work, how air sealing helps save on heating costs, and how to choose the right contractor that can get you money-saving rebates. 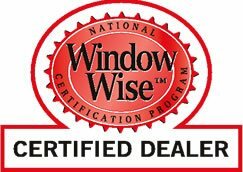 Having your windows redone is an amazing way to save you money in the long run, through savings on your heating bill during the winter and AC during the summer. It also has a lasting impact on the environment. Every little bit and everyone doing their part helps the environment. At Advance Windows we can help you save money, both with the installation of your new windows, and long-term with the energy saving solutions that we will install.